Italian wine bars are more social institutions than anything else. 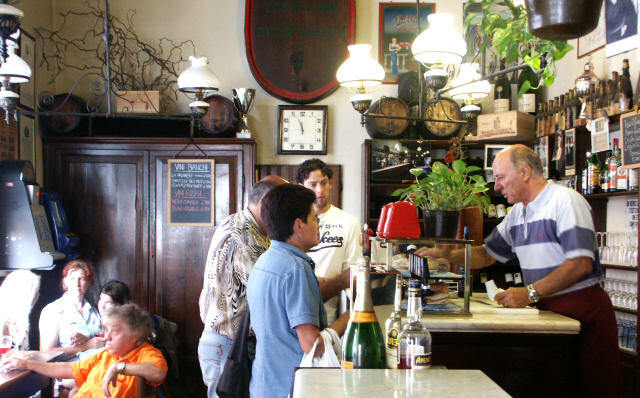 Ugo's wine bar in front of the duomo is characteristic, and set in a 500 year old building. It has a wide selection of fine wines that you don't find in normal bars. The locals enjoy sipping wine and just shooting the breeze.